In today’s society, we are constantly looking for the “magic cure”, or the “amazing 2-minute stretch to fix knee pain forever”. While reality may not support a 2-minute solution for your knee pain, I’m going to show you the easiest, most cost-effective & longest lasting method to fix or dramatically reduce your knee pain. 1st Step: Admit that there’s a problem. Pain every day, when you are just doing normal daily activities, isn’t normal. If doing things like getting in and out of the car, bending down to pick things up, or getting up off the floor cause pain, you have a problem and it’s time to admit it. If you’re even more astute and you are noticing that you develop knee pain at km 4 on your daily run, or that you always have pain after exercise or certain activities, it’s a problem. 2nd Step: Find out what YOUR issue is? Before you can take the right action to fix your pain you have to know EXACTLY what is going on. I’ve seen what happens when a clear diagnosis is not determined and treatment is prescribed anyway a thousand times before. You can do strengthening exercises until the cows come home, but if muscle weakness isn’t your number one problem – it won’t fix it. A thorough history of the problem. A comprehensive expert examination to assess how complex your issue is and what it will take to fix it. 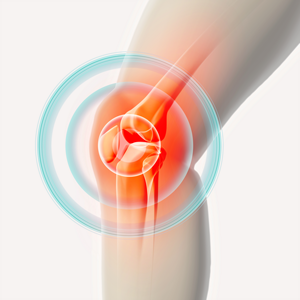 A list of problems that are causing to your issue – Knee pain is rarely caused by a single problem. 3rd Step: Get to the root of the problem! You need treatment and advice that is directly aimed at improving the function and range of motion of your knees. The root cause needs to be addressed and where possible – fixed. Simply adding exercises or injecting the joints with cortisone cannot possibly fix the root cause. We direct our treatment right at the causes of reduced function and pain. We help patients by breaking down adhesions in the muscles and knee capsules to restore the normal motion and eliminate the pain. 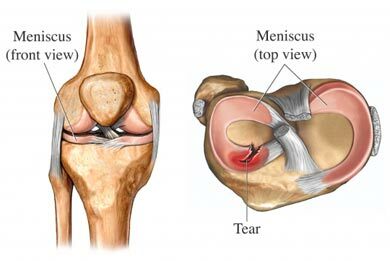 Some diagnoses like meniscus damage and degeneration of the knees are not entirely reversible. But that’s not to say that they can’t get better, and make drastic improvements in pain and function. Any treatment for these conditions absolutely MUST be aimed at increasing the function of your knees. Is this really the fastest way to fix my knees? YES! As you can see this plan is in no way a “2 minute stretching plan to completely reverse your knee pain”. But it is the fastest, most reliable and will deliver you the longest lasting relief from your knee pain. We see patients all the time who have spent months or years consulting with other practitioners, doing their treatments, and spending thousands of dollars chasing the ultimate in quick fixes. They don’t work! 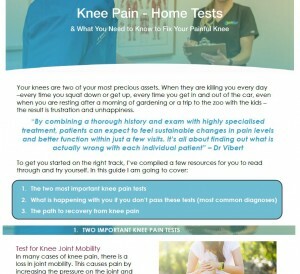 We offer the finest and most comprehensive solutions for knee pain available anywhere in Australia. If you are suffering with knee pain and have had a gut full of exercises that don’t work, treatments that don’t increase your function and injections that make it worse over the long haul then call our office today. We are here to help.